THESE ONLY SHIP MON – WED during the summer months so they are not sitting in a USPS vehicle over the weekend getting hot (they will melt). If you call us, we can ship express on Thursday or Friday, but they MUST BE SHIPPED EXPRESS, which will cost $30. NEW: Every batch of 13 Pastures CBD products are now individually tested. 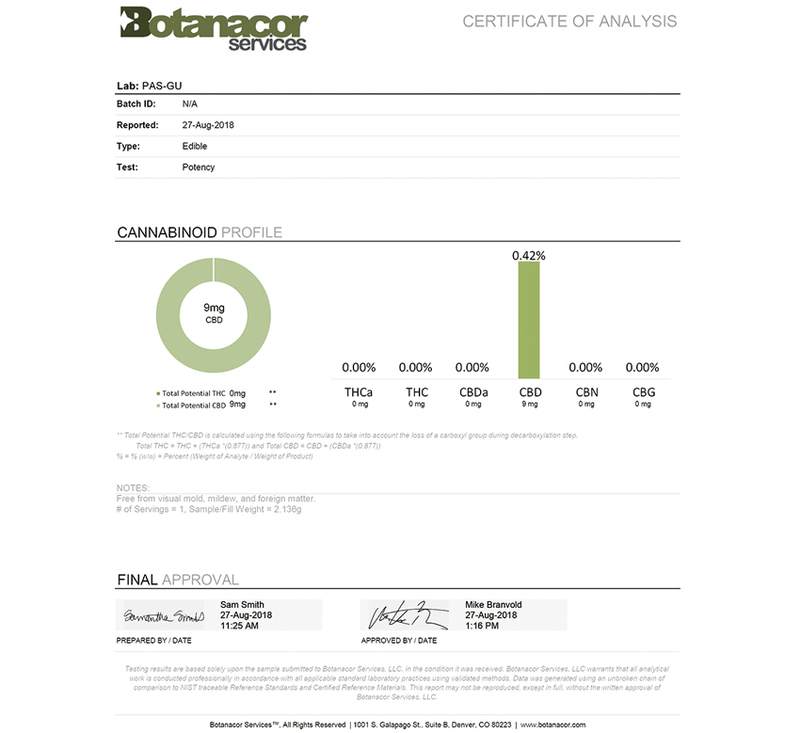 Contact us for the Certificate of Analysis. Awesome Gummies!! 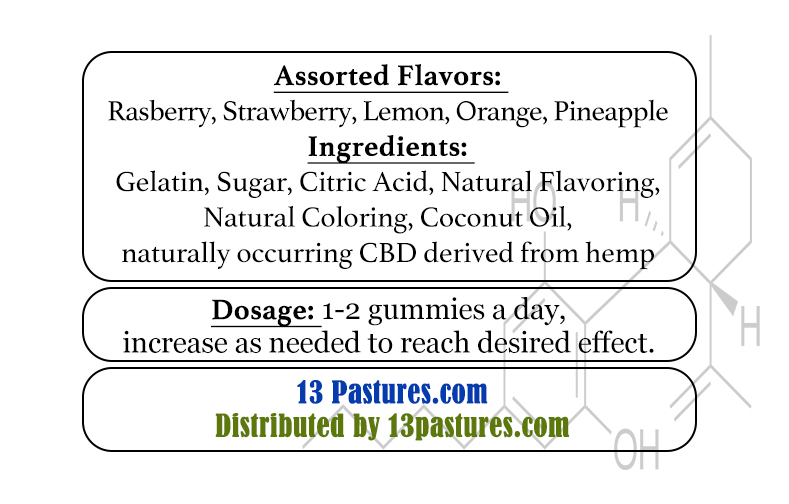 I don’t like the taste of some CBD oil I’ve tried, but these gummies make it easy to get my CBD!! The product was as advertised, and shipped with a cool pack, however, the gummies were stuck together. Once they chilled in the fridge I could separate them. Customer service during the ordering process was excellent, and the flavor is very good. I bought this as an alternative to the harmful drugs my disabled daughter was prescribed, which left her with horrible side affects. 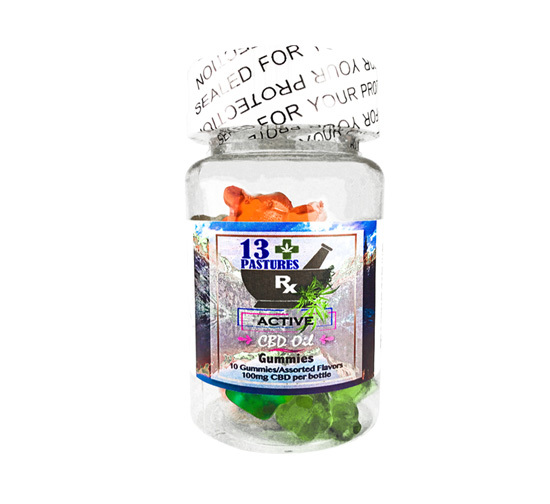 These gummies are easy for her to chew and swallow, and her medical problems are starting to lessen. I’m so glad I found these CBD gummies. I intend to continue my purchase in the future….THANK YOU!